Dark Vortex - Activate the Free spins Feature and Win Big! We all know that Yggdrasil Gaming is famous for delivering slots with unique themes. Yet, who could have thought that they’d venture into the dark side, and go as far as opening a vortex to let the evil into our realm? In fact, the action of the slot takes place right where evil lives. 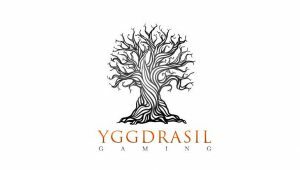 And what a great idea Yggdrasil had to go completely dark with their 2018 Halloween release. But Dark Vortex promises more than skeleton heads and devilish creatures! Indeed, this slot also gives you access to monster wins since you can get your hands on a staggering 7,000x your stake. What’s more is that if your inpatient to trigger the Free Spins bonus, you can also buy your way into the free rounds if you’d like. So, keep on reading to know more about this exclusive feature and more about what this slot offers. Highest-paying symbol: 5 red devils on an active paylines reward you with 60 coins. There’s no shortage of features when you play Dark Vortex. But let’s start by saying a few words on the Vortex Reels since it’s the first feature you’ll trigger. So, after landing 2 golden compasses on consecutive reels, the reels will expand to give you more ways to win for a pre-defined number of rounds. Of course, the ways to win increases when you get more than 2 golden compasses. However, it’s worth knowing that you’ll need a minimum of 2 compasses to activate the feature. There are actually 2 ways you can activate the Free Spins feature. First, you can buy your way in the bonus by paying 800 coins and clicking on “buy bonus” on the left-hand side of your screen. Alternatively, you can open 5 vortex reels to trigger the Pick n’ Click mystery card feature where you’ll select how many Stacked wilds you’ll get and the number of Free rounds you’ll play. But regardless of the way you activate the feature, know that you can get a maximum of 4 Stacked Wilds and up to 20 Free Spins. However, if you buy the bonus, you’ll get a slightly better RTP, 97% instead of 96.5%. Also, it’s worth knowing that you cannot re-trigger the feature since all vortexes are opened during the bonus. So, you’ll have 3125 ways to win! All and all, Dark Vortex is a great video slot, that offers a lot of flexibility to players. Sure the paytable is not the highest, but with 3125 ways to win the wins can quickly add up! Try Dark Vortex now and get monster wins at any casinos listed on this site. Have fun!